Minnesota’s Twin Ports. Through the years, our goal has remained the same. We guide each child to become a happy, self-motivated learner with a positive self image and global perspective. At Montessori School of Duluth, children learn valuable educational, social, and life skills. At the same time, children’s innate need for order, learning through their senses, and working at their own pace are fostered. 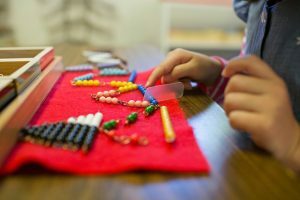 Unlike traditional models of education, where children are expected to adapt and change to fit the system, Montessori education changes to fit the child. In this way, we aid children in their discovery of our world, and guide them toward being passionate, lifelong learners.